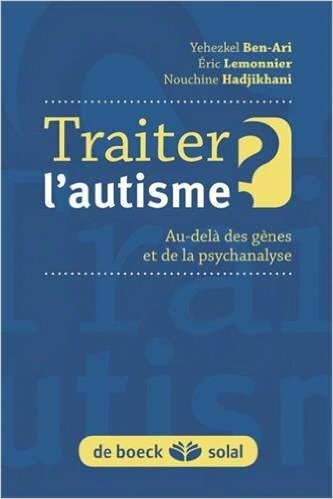 The Paper of Yves Frégnac in Science raises major issues that are on the convergence of the paucity of concepts in science, the evaluation and financing of scientific investigations and the false promises of big programs to understand the brain and treat neurological and psychiatric disorders. The incredible acceleration of technological advances attested every day by new possibilities that were not even dreamt a few years ago is clearly not associated with a similar and parallel development of novel concepts and guidelines for future significant steps forward in dissecting the brain and its networks. The parallel unprecedented development of mathematical and computer tools aiming at simulating brain networks and neuronal ensembles is striking in its weak feedbacks. The more we advance, the more doors are opened and the neuronal forest still seems a big jungle difficult to penetrate and dissect. As written in the paper, “At a more conceptual level, barrier–breaking innovation paradoxically stems more often from unpredictable “rupture” processes than industrialized approaches”. The big programs meant to solve these issues and at last enable to understand the human brain and treat all its sequels such as the Human Brain Program (1,19 billions euros) have already shown their limitations and waste of funds. The reasons are the lack of concepts and specific questions. The Human Genome Project succeeded because the aims were to have a map of the human genome; here the aims are, by relying on big data, to accumulate enough observations to understand how the networks operate in health and disease. Big is not beautiful and the history of science has repeatedly shown that major discoveries are always on sideways, not highways. They are made by some of us that are capable of transcending present knowledge and connecting observations that appeared unrelated. This is getting more and more difficult in this technology-dependent science: universal concepts do not depend on techniques that can appear centuries later (see the great Albert). As the author stresses, big data is not knowledge and “We are currently facing an overflow of data without definite strategies to convert it into knowledge and eventually reach a better comprehension of the living brain”. The brain is a highly dynamic organ by definition and the static view of its operation in these big data type of analysis suffer from intrinsic limitations. Technological advances must be used hand in hand with conceptual questions. The bottom–up strategies where simple organisms and animals are used to dissect all its components has failed to produce a complete functional picture of its operation. “Simulating complex networks –the cart without a driver: missing a strong brain theory “. Modern society expects from biology basically fulfilling the promises of solving the problems we are facing notably in terms of understanding the human brain and treating disorders. This trend has been repeatedly observed when dealing with major advances such as nanotechnology, stem cells, brain stimulation etc. This Megascience dries out funding of other approaches that are indispensable for future achievements without providing guarantees that breakthrough will stem out of it. In his conclusions, the author asks for more interdisciplinarity and other suggestions that in essence suggest that one must take care to avoid overconfidence in automatized technological investigations: less industrial, more artisanship interventions are instrumental. Source: Frégnac, Y. (2017). Big data and the industrialization of neuroscience: A safe roadmap for understanding the brain?. Science, 358(6362), 470-477.